With a Grammy-nominated album under his belt, Brent Cobb spent most of 2017 on the road, touring behind his major label debut, Shine On Rainy Day. It was a hard time to not be inspired. Anchored by southern storytelling and swampy, country-soul swagger, Shine On Rainy Day had become a critical and commercial hit, earning Cobb a long string of shows with artists like Chris Stapleton and Margo Price. He embraced the road-warrior lifestyle, picking up ideas for new songs every time his band hit the highway. Somewhere between the whirl of shows, hotels, and truck stops, Providence Canyon began taking shape. During breaks in the band’s schedule, Cobb would return to Nashville—his hometown for a decade, ever since he left his childhood stomping grounds of rural Georgia—and head over to RCA Studio A. There, in an historic studio run by his cousin, producer Dave Cobb, he brewed up a sound that nodded to his previous material while still pushing forward. The songs were faster. More upbeat. More personal, too. Together, they formed his sophomore album, 2018’s Providence Canyon. 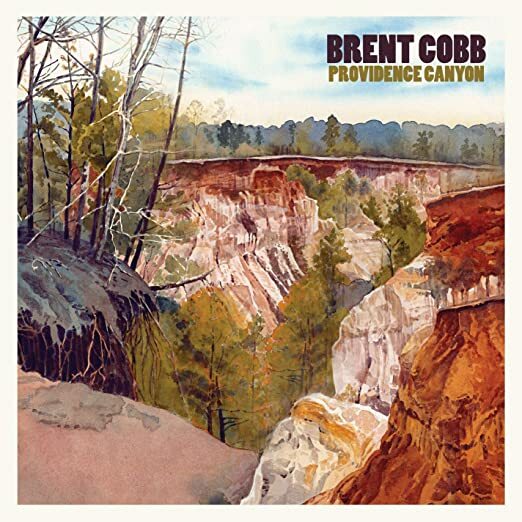 Named after a Georgian gully that Cobb often visited as a teenager, Providence Canyon is an evocative, electrified album about a life lived on the run. There are road songs, half-lit drinking tunes, tributes to friends and family, and nostalgic nods to one’s younger years. There are songs about returning home and songs about getting the hell out of dodge. Gluing everything together is the unforced country croon and sharp songwriting of Brent Cobb, who credits his recent touring history for inspiring the album’s quicker pace. If Shine On Rainy Day felt like a laid back country album for front-porch picking sessions, then Providence Canyon is built for something bigger. This is music for juke joints, pool halls, and roadhouses, filled with electric guitar (performed by Cobb’s touring bandmate, Mike Harris), B3 organ, percussive groove, and co-ed harmonies. And while the album’s recording sessions were spread out across an entire year, each song was captured in a small number of takes, with Brent and Dave Cobb relying on instinct and spur-of-the-moment ideas. The two cousins may have grown up on opposite sides of Georgia, but they share similar backgrounds and musical instincts—two qualities that lend an earthy authenticity to these 11 songs of the south. On the drawling, guitar-driven “Mornin’s Gonna Come” and “Sucker for a Good Time,” Cobb battles against the temptations of the road, where the drinks are free and the nights are long. He doubles down on his commitment to his wife and daughter with “Ain’t a Road Too Long,” whose mix of Bible Belt boogie-woogie and Southern rock channels influences like the Band. Then, on the album’s breezy title track, he casts his mind back to his teenage years, when a trip to Providence Canyon—a 150-feet gorge in the sandy clay of southwest Georgia, less than an hour’s drive from Cobb’s hometown—was enough to remind him of life’s fleeting, precious nature. “The night won’t last forever, after all,” he sings during the song’s chorus, while pedal steel and acoustic guitars chime in the background. Technically one of the oldest songs in Brent Cobb’s catalog, “Providence Canyon” (like the album that borrows its name) glorifies the thrill of hitting the open road, while also pining for the comfort and safety of home. Those themes permeate the album. For Cobb—a longtime touring musician who’d already logged years on the road before Shine on Rainy Day’s success—there’s never been a better time to explore the interlocking worlds of family, work, home, the highway, and wanderlust. Providence Canyon is the soundtrack to that journey.